Home / Interesting / VIDEO: How much EV range is really necessary? At the moment, range is the biggest question for customers looking to buy an EV. Despite the average American’s commute being far less than the total range of even the least capable EV, buyers have serious range anxiety. So customers often flock to cars like Tesla or the Chevy Bolt, all of which have over 200 miles of electric range. But how much range is really necessary? Edmunds discusses this in their new video. 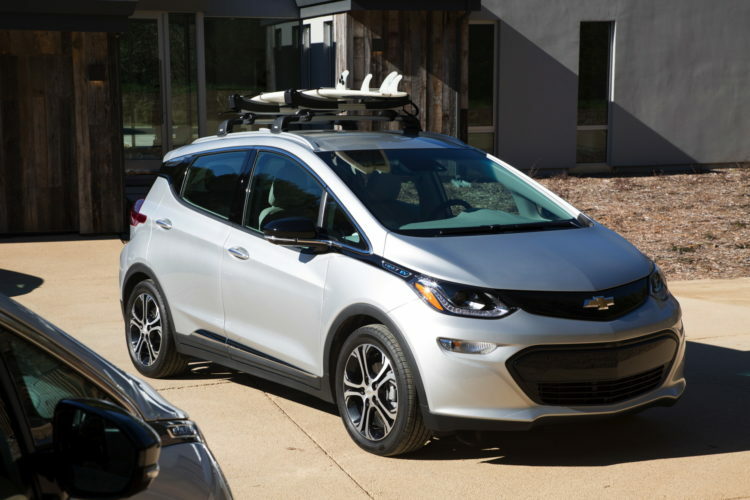 In this video, Dan Edmunds, Jason Kavanagh and Calvin Kim discuss how much range is really needed for everyday driving and they use the Nissan Leaf, Tesla Model 3 and Chevy Bolt as their examples. The Leaf has a range of about 150 miles, while the Bolt can do 238 miles and the Tesla Model 3 can max out at 310 miles with its largest battery. However, does one really need 310 miles of electric range? Is even 238 miles overkill? Well, there seem to be a lot of factors, such as location, typical use, weather and charge locations. So if you own a home and can install a fast charger in your garage or in your driveway, you don’t necessarily need a super long range, as you can plug it in every night and have a fresh battery in the morning. Though, if you live in an urban city where you don’t have a charger on your premises, and have to rely on occasional spot charging, you might want a longer range, so you can go further in between charges. Plus, there’s the weather aspect of it. If you live in a home and can charge your car overnight, you still might want a longer range if your home is located in a cold winter climate. Cold weather can drastically reduce battery range on its own but then you throw in the fact that you’ll likely be using the heater, and maybe even heated seats, much more. So that could turn a 151 mile range into an 80 mile total range really quick. It’s an interesting discussion and one worth watching if you’re considering an electric car. There are a lot of factors that go into choosing an EV, so it’s a good video to watch so you know what to look for in your next EV.